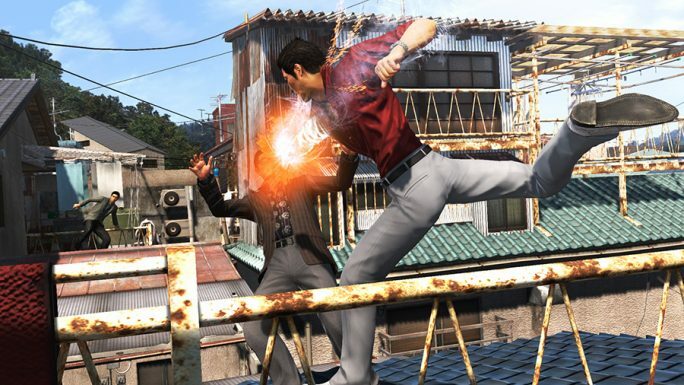 There’s certainly no shortage of Yakuza action these days. It seem like Sega’s seminal Japanese crime drama releases a new iteration every month at the moment, both new, and remastered, and more and more gamers are getting the chance to partake in one of gaming’s best series. Yakuza 6, however, is not a prequel or remaster, this is a true sequel, and one that brings with it a new engine, and a list of changes to shake up the long-running formula. 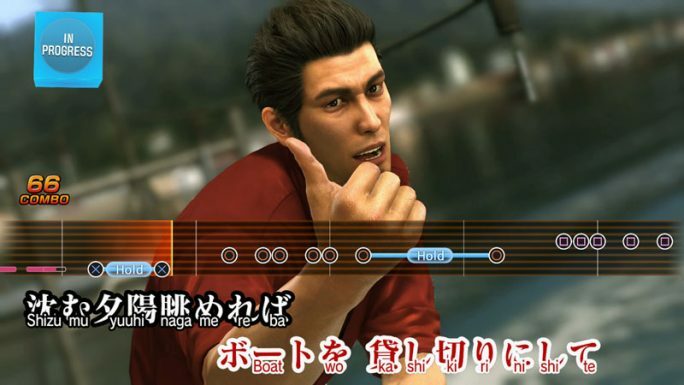 Yakuza 6: The Song of Life is being billed as the end of Kazuma Kiryu’s saga. This is a story that’s endured through the five previous games, and has seen him rise, and fall, through the ranks of the Japanese criminal underworld. Trying desperately to leave his old life behind on more than one occasion, he just keeps getting involved with his old Yakuza family, the Tojo Clan, and his personal life keeps getting dragged through the seedy underbelly of the game’s staple location, the fictional Tokyo district of Kamurocho. Yakuza 6 is no different, and once more Kiryu must embark on another story involving the Tojo, and he revisits Kamurocho, and a new location in Hiroshima. As always, by far one of the strongest features of Yakuza 6 is its impressive story, which I don’t want to spoil in any way. 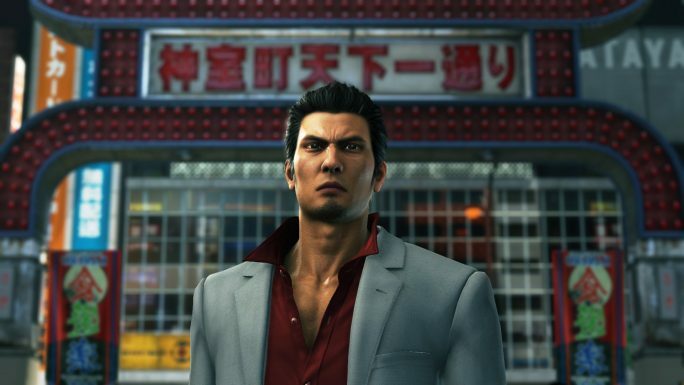 All I’ll say is Kiryu is on a very personal journey, involving an investigation into an accident involving Haruka, a young girl Kiryu raised in his orphanage, which is a life he wishes to return to once he finally sheds his old Yakuza ways. To do: beat up some gangsters, raise some orphans. Built from the ground up using a new engine, it’s instantly clear that Yakuza 6 has been able to fully leverage the power of current gen consoles. This is one gorgeous-looking game, and everything, from the wonderful character renders and animation, to the ludicrously detailed environments shows just how much effort has been put into a series that’s obviously as loved by its developer as it is by its fans. I’ve played every single Yakuza game, so I now know Kamurocho like the back of my own hand, but with this latest version, the increase in detail, and some new tricks opened up new areas and features that once again made the familiar locale feel fresh. This success is not least due to the new inclusion of a first-person mode. Now able to wander around the city streets looking through the eyes of Kiryu players can be even more immersed into the neon-soaked night-life of the red light district that is Kamurocho. Not only does this present a world in even greater detail, but thanks to the unparalleled recreation of Japanese culture and daily life, you almost feel as though you’ve actually been to Tokyo. Crank up screen brightness for the full effect. 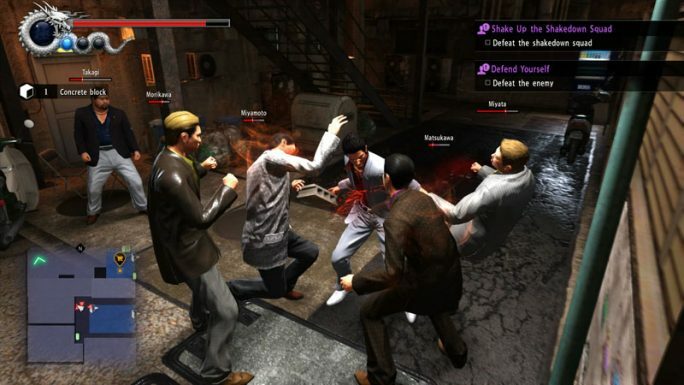 Of course, a core element of any Yakuza game is combat, and again the third-person fighting returns. 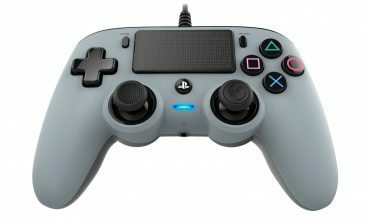 Very similar in many ways to previous games, the combat is now improved, with better AI enemies, more of a focus on dealing with large numbers of foes intelligently, not just button mashing, and a generally tweaked and more responsive level of control. There’s a revised and improved Heat system, and you can now flee from combat should you wish. Sadly, the multiple style system seen in the recent Yakuza 0 is gone, so combat is simplified somewhat, but it doesn’t greatly affect gameplay, and it’s still very much enjoyable. Yes, it’s still repetitive, with many fights going down in the same way, but the increased fluidity and better enemy AI makes it all more enjoyable than a mere button masher. Fire hands may also have something to do with it. Couple this is a very well executed levelling system that rewards you for doing everything from eating and singing karaoke, to fighting and winning at darts, and you have a character progression system that’s tied to everything you do, and a game that encourages you to wander off the beaten path and engage in all it has to offer. And believe me, that’s a lot. Outside of the excellent story, there’s a metric tonne of content to go at. Always present in Yakuza games are side missions and mini games, and Song of Life doesn’t disappoint here, with some of the best examples of the series thus far. Here you can play darts, hit a few at the baseball range, visit host and karaoke clubs, play Majohng, visit restaurants, and frequent the ever present Sega World arcades. This time you get the classic full games of Outrun, Space Harrier, and Hang On, as well as, get this, a fully functional game of Puyo Puyo, and a full rendition of Virtua Fighter 5. Yes, you can play every character and stage of the arcade Virtua Fighter 5 in the game’s virtual arcade. How cool is that? Editor’s note: Karaoke doesn’t have My Heart Will Go On, 0/10. Being a Yakuza game, there are Japan-centiric quirks here too, perhaps represented by the admittedly creepy and pervy “Live Chat” bars. Here you watch a live video chat (real video footage) of a range of Japanese girls to attempt to get them to take off more clothes and talk dirty. It’s grubby, yes, but it’s also very well implemented. All mini-games are well crafted and presented, not just thrown in. Even the darts game has multiple game modes and impressive presentation. If that’s too adult for you, how about raising cats in a cat cafe instead? This is a theme throughout the game, and the series as a whole, really. Every aspect of Yakuza 6 is just so well polished. 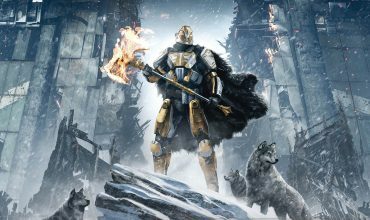 There’s no corner cutting, no rush jobs, just a shining jewel of a game that can’t fail to impress in terms of presentation and quality. Alongside the traditional mini games there’s a new RTS-lite section that involves finding and recruiting members of your new gang. With this gang, you can engage a rival faction in a real time strategy beat ’em up that lets you send out various types of units to fight enemies with the goal of reaching and defeating the opposing leader. It’s a great little diversion, and just another element of an already packed game. That guy up the back needs to pull his weight in this fight. As I mentioned before, however, the story is where Yakuza games always excel, and this time is no different. In fact, the theme of the story, the writing, and the excellent character rendering and animation makes this one of the best entries in the series in terms of drama and character development. 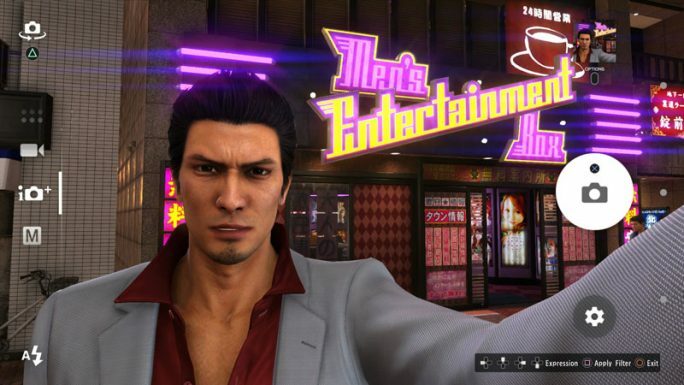 Sure, it still has it’s quirks in terms of buffoonery, but even those most initially unlikeable characters can soon enamour themselves, and you’ll find yourself genuinely glued to Kiryu’s adventure from start to finish. In terms of problems, there really are very few to even bother mentioning. The first-person view is excellent, but it’s frustrating to be pulled out of it and have to manually return after almost every action. Even picking up an item forces to you click to return to first person, and an auto-return option would be welcome. The game has, in some ways, also streamlined some systems, including the combat system that I previously stated lacks different combat styles. As with a lot of new engine developments, some previous complexity has been lost in the translation, and long-time fans will certainly notice this. However, in my opinion, it really doesn’t hurt the game, and it’s not really missed. It may still struggle to top the brilliance of Yakuza 0, but Song of Life is nonetheless a brilliant game, and one that should not only please fans of the series, but should equally interest new comers. Yet another very strong entry in one of gaming's greatest series that many have never played. If you fall into this category, you really should give it a go, as you're missing one of the best series around, and some of the best storytelling in the industry.